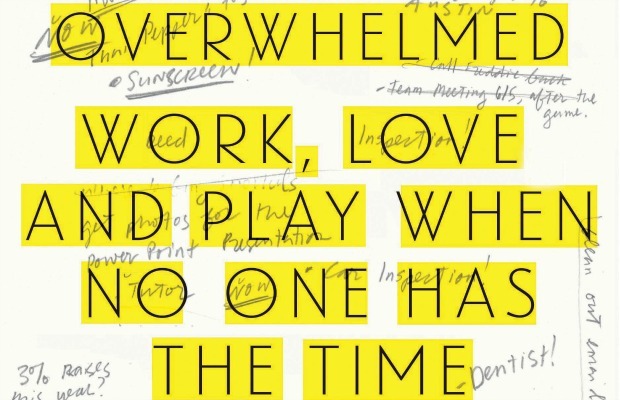 Our first free-peek into The Work and Play Issue of The Mockingbird is our interview with Brigid Schulte, journalist and author of Overwhelmed: Work, Love and Play When No One Has the Time. Ironically enough, it took a good bit of phone tag for this interview on busyness to happen. When we were finally able to coordinate a time to talk, Brigid Schulte was calling from a train station, heading back home from New York City, and she sounded rushed but told me she had a few minutes to talk and set up a time. When it came time for the actual interview, I had to e-mail Brigid from the driver’s seat of my car, in bumper-to-bumper traffic, to tell her I’d be ten minutes late to my office for the conversation. To double the irony, it was in the middle of Advent season, the season of waiting, listening, and preparing for the coming of the Christ child. Right. This was just as well, though, because Schulte does not come across—in person or on paper—as someone who has figured it all out, who has come down from the pinnacle of Time Sinai to bring her tablets to the time novitiate. Instead, her book, Overwhelmed: Work, Love, and Play When No One Has the Time, places herself amongst the millions of modern Americans who find themselves overextended and undernourished. As a working mother and award-winning journalist for The Washington Post, the reason for her research on modern busyness began with an assessment of her own life as it was developing around her. Why did she feel as though she had no time to herself or to the things that mattered? Why did she feel as though nothing was enough? Why couldn’t she sleep? Of course, not only did Schulte find she wasn’t alone, but she found herself standing in the middle of a common modern predicament. And with a prescient understanding that the real crisis lies deeper than the busyness on the surface, Schulte’s book diagnoses the ways we’ve begun to think about ‘the good life’: namely, am I busy because my life has value, or am I busy because I believe it makes me valuable? As she discovers, often our busyness serves as an antidote to reality, a form of self-defense against the matters of the heart. Our conversation covers many of these observations, as well as the questions which led Brigid on this search for time serenity. We talk about “role overload” and the law of impressive birthday parties, the gift of relaxation and the encroachment of the Protestant work ethic, and, naturally, why we all wish we lived in Denmark. Brigid spoke with us from her home in Northern Virginia. And I say that because I’ve been there. There’s something about this season that feels almost like the Busy Olympiad or something. It’s really a breathless time. You’re usually trying to wrap up work stuff, kids at school are wrapping up projects, the teachers are trying to wrap up grades. Then you’ve got the added layer of Christmas presents and buying. And there’s a weird and interesting stress that comes with that. I asked my son the other day, “What do you want for Christmas?” And when they’re little it’s almost easier: You come up with a letter for Santa and it’s like a parent’s cheat-sheet. But he just said, “Oh, Mom, just surprise me.” On one hand, what a lovely thought, that he wants to be surprised; but on the other hand, it created an intense stress for me because there are some things that are very important, and have I been paying enough attention to even know what he would like or what would surprise him, or delight him? And then comes that sense of guilt, that we don’t feel like we take enough time, or, I would argue, the right kind of time. Time studies show we are spending a lot of time with our children but, for middle class families, a lot of that time is schlepping them to lessons and arguing with them over homework, and harping on them—but the real time that I’m feeling guilty about is the same time of Advent, that sense of preparing, waiting—being fully in the moment, in touch with what’s going on. And that’s true connection. And I think, going back to that deathbed analogy, you know, you’re not going to be thinking, “Boy, my Facebook post was so great and all sorts of people were so jealous that I was doing so many fun things.” You’re going to remember those really small and often very ordinary moments where the connection was really genuine. And I think that that is what this season really is all about and yet we have created so many layers over top of it, it makes it even more difficult to sink into. That’s so true. Besides rare moments, the time we live in and breathe in is achievement-oriented time, when we’re thinking not just about what we can get done but what value we might be able to gain for ourselves by what we get from this time. Well, yes, and that value being very much measured by money. That’s a lot of how we measure our value, our success. Can you monetize it? Have you made money? And also productivity, which is: How much stuff can you get done and get done efficiently? Which then ties right back to money, because time is money, so you’re saving your company money by being more efficient, so that you’ll have more time to be innovative, so that you can bring even more value to your company. That is where a lot of our discussions are right now, thinking it’s about getting a lot of stuff done, and not really looking at it. It’s about quantity rather than quality—how much stuff can you check off your to-do list, how much stuff can you cram into your schedule. But that’s also a very human thing. We are imperfect and flawed souls, and for many of us it’s very difficult for us to feel comfortable in our own skin, and that’s part of why we get busy. We get busy to cover up and to avoid—to avoid thinking about those bigger questions about what’s really important and what our life means, and also to avoid those feelings of, “I don’t know, that frightens me,” or “I feel inadequate” or “I don’t feel like I’m enough.” We all have some flavor of “I’m not enough”—not good enough, not doing enough, not rich enough, not pretty enough, not smart enough. And as humans we’re sort of wired to compare ourselves to others, and then you can get into that terrible cycle where you’re just always feeling badly about yourself. I remember the moment very clearly, when I was in Portland, Oregon where I grew up, and there was this beautiful sunset over Forest Park. It was beautiful. And I remember having this distinct feeling that, “Oh, if only I were somewhere else, I bet I could really appreciate this; if only I were better, or this place were better, then I would be able to really fully enjoy this moment,” without realizing that that moment was now. With high schoolers in your house, you’re probably pretty keen on FOMO, the fear of missing out. That is certainly the language of better alternatives, that there’s got to be something better that I’m not doing. It’s almost absence rather than presence, because you’re living in all these other places you’re not. It’s really the language of lack, right? It’s the language of “Somebody else is doing it better and they’re having more fun, and somewhere else is the right place to be.” I remember I always had that very restless soul, a restlessness that I wasn’t good enough and that where I was wasn’t the right place, and if only I were somewhere else it would be better. It was as if I needed to be hit over the head. It’s like, are you kidding me? Do you know how many people would have died to be in Kathmandu? Here you are, be here now. It was such a lesson to me that you can be even in Kathmandu and worry, thinking that it’s the wrong place or the wrong time, or that maybe you should be climbing Mount Everest instead of just going on some seven day trek to Tibet. It’s just a crazy, crazy trap. As someone who has struggled with it, it can make you feel like you’re living your life on the sidelines. So, what’s your story? How did this book come about? Well, Overwhelmed was a completely accidental book. I really resisted writing it for quite a while. I’d always wanted to write a book, but I’d always wanted to write an important book, you know? I thought I’d look at something “important,” and interestingly enough, looking at my life, and at the lives of modern women or men or parents who felt overwhelmed—it was me feeling that way, and so I didn’t feel like it was a worthy subject. I didn’t feel like it was important enough—as a journalist, I had to write about bombs or war or guns or something. 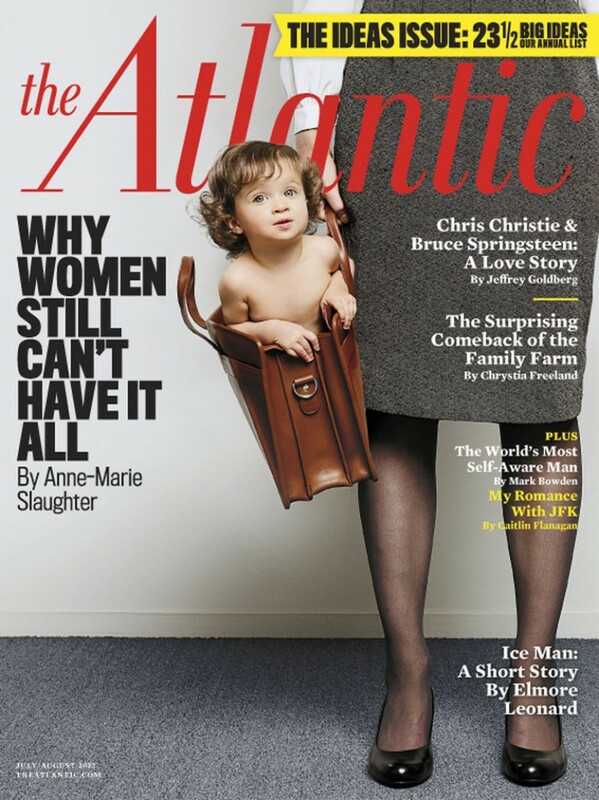 So, several years ago, I was on an internal panel at The Washington Post, looking at our readership numbers, and I was appointed to this women readers committee, and we were supposed to try to figure out why women weren’t reading the paper. We took one look at each other and figured women aren’t reading the paper because they’re too busy, because we were all too busy. Every morning my husband would faithfully read the paper but, boy, I was trying to get the kids out the door and empty the dishwasher and re-load the dishwasher and make lunches and something would always break or I was always cleaning something up or the cat needed to be fed or he barfed somewhere or the kitty litter needed to be changed. 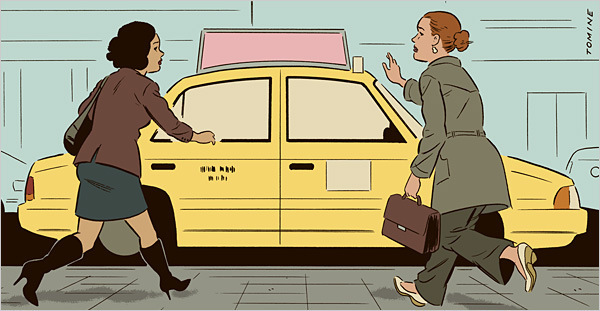 There was always just stuff to do to get out the door in the morning that was always very stressful and so, we figured, women are too busy, because we are too busy, and we write for the newspaper. We wanted to get data, and I had volunteered to look for some sort of data to show how busy women are, and not knowing anything, Googled “busy women mother time,” and this time-use researcher popped up. His name is John Robinson, and at the time he was at the University of Maryland, so I called him and said, “We’re doing this study on why women aren’t reading the paper—we figure they’re too busy,” and he said, “Wrong!” He interrupted me. He said women are not busy. Women have thirty hours of leisure a week. They have more leisure time now than they did in the 1960s, even though more work in the marketplace now. And that is really how this whole book started. I did the time study with him, and he did find 27 hours of what he called leisure time, and what I called bits and scraps of garbage. It was ten minutes here, fifteen minutes there, lying in bed, completely exhausted, listening to NPR, trying to get out of bed. He called that leisure time. Like, really? I call that survival. So, in coming to grips with what was called leisure time, and what you’ve called survival in the face of ‘the overwhelm,’ you wound up meeting all these people with similar stories. Some men would write and say, “You know, I want to relax. I want to focus on what’s important. I want to have this deeper connecting time, and my wife cannot sit still. She feels like she always has to be busy, so she’s always puttering around, and we never do anything, because she feels like she doesn’t deserve this kind of time.” I mean, how sad is that? You really don’t have to rearrange your drawers, you really could have that time to have this connection, to have leisure, but so many people felt that they didn’t deserve it. And so it was like, all right, I’m not alone. But if I’m not alone, how extensive is this feeling? Is it just working mothers like me? Or just women? Or just mothers? Or parents? Men? Is it a certain age? Then I had to look at the contours of people feeling overwhelmed and I think that’s when I was really astounded, and that’s when I realized… they were women, they were men, they were people with children, they were people without children, they were young, they were old—and every one of them said, to some extent or another, “You climbed into my head and wrote about my life.” And that’s when I thought, something is going on that makes so many of us feel this way, and I have to try to understand the contours of this. I need to understand why. What is going on structurally? This can’t just be, as somebody called it, “an epidemic of personal failure,” if so many people feel this way and not just in the United States, but in plenty of other places. What’s really going on? I wanted to ask two questions: Why are things the way they are? I wanted to understand that sense of overwhelm deeply. But also, I wanted to understand how things can be better. What can we do? Before we go there, you use this term ‘role overload,’ mainly talking about all the things one person is expected to be—a mother, a daughter, a sister, a career professional, etc.—a person who must fulfill all these roles to a successful degree. What do you feel are the implicit demands of modern life? What are the ones we often wouldn’t even admit or wouldn’t often see? Well, ‘role overload’ came from a study in Canada, Health Canada, that does these big studies every ten years, looking at stress and work-life conflict, and ‘role overload’ is not just women. It is everybody. And that’s what I think is interesting, what makes this universal. We are all playing many roles in contemporary life. We all have more roles than we’ve had in the past, and the demands and expectations of each of those roles, the standards have really never been higher, which is why you get the overwhelm. At work, we are expected to work like we’ve never worked before. Long hours, for white-collar workers. For blue-collar workers, you’ve got to work two and three jobs just to make ends meet. So you’ve got different pressures on different parts of the socioeconomic spectrum. You know, for white-collar workers, you’re expected to be hyper-productive and super-efficient. You’re expected to be incredibly creative, to give a hundred and ten percent, and take this ball and run with it, and create something new. Nobody’s really working a nine-to-five, punch-the-clock job anymore. And if you are, you’re not going to last very long, because there’s competition and there’s globalism, and there’s this constant feeling that the lawn mower is going to take your head off at any moment, so you run as fast as you can to stay relevant and up-to-date on technology. There are a lot of pressures at work, of course, but then there’s email—you just say that word and people’s hearts start beating faster. Just trying to keep up with email can be a full time job. So there are all these pressures at work. And then at home, there are pressures that I certainly experienced as a middle-class mother. To be Super Mother, to stage birthday parties—I staged D-Day for one child, I turned the backyard into Mount Olympus for another. You know, whatever happened to Pin the Tail on the Donkey, like I had, or the lopsided angel-food cake with a few neighborhood friends? Why is that not enough? Why did I feel like that wasn’t good enough? Of course, part of that problem is the guilt associated with working mothers, the cultural expectation that, if you’re a working mother, you’re somehow not as good a mother, so you’re constantly looking for ways to try to prove that you are, to make it up. But in a weird way, you’re throwing parties for other people, not necessarily doing it for your kids. So, motherhood standards are higher. Fatherhood standards are also higher, and partly because men want to be more involved than perhaps their fathers were. They don’t want to be distant. They want to know what to get when their son says “Surprise me” for Christmas, whereas a generation ago, fathers would have had no idea: “Oh, talk to your mother.” So, the roles of men are changing as well. And along with that FOMO feeling, because of Facebook and technology, for anyone and everyone there are so many options out there. It creates this harried restlessness, the kind that leaves you saying, “Oh my goodness, I better be doing something interesting and productive, and I better be constantly improving myself.” So lots of people feel this role overload. An image from the book that sticks with me: I was in North Dakota, just sitting in on the most fascinating and, frankly, depressing focus group on the fast-paced busyness of life. In Fargo, North Dakota, you’d think, well, they have this small farming community; they must have sit-down suppers, and front porches, and a slower pace of life, without traffic jams and commutes. And, you’d think, wouldn’t they enjoy their lives more, wouldn’t they have more time for what’s important? But, sitting around that focus group table, every single person was stressed out of their minds. One woman said the only leisure time she’d had was when she was awaiting her mammogram in the doctor’s office. Another guy said he had a canoe but felt too guilty to ever go out and actually canoe even though it was the one thing he wanted to do more than anything. He told me, “Well, you know, idle hands are a devil’s workshop.” I thought, “What is—? You’re out in a canoe, you are busy, you are paddling! Your hands are not idle! You are out looking at the beauty of the world, you’re soaking it in!” But people feel that what’s not productive is not worthy. There was another woman who was so busy that she decided not to have children. Yeah, you said this earlier, but that busyness is definitely a kind of safeguard, a mask to keep ourselves from unscheduled time. And that unscheduled time is something you talk about in the book, about creating space for time that is completely without motive. 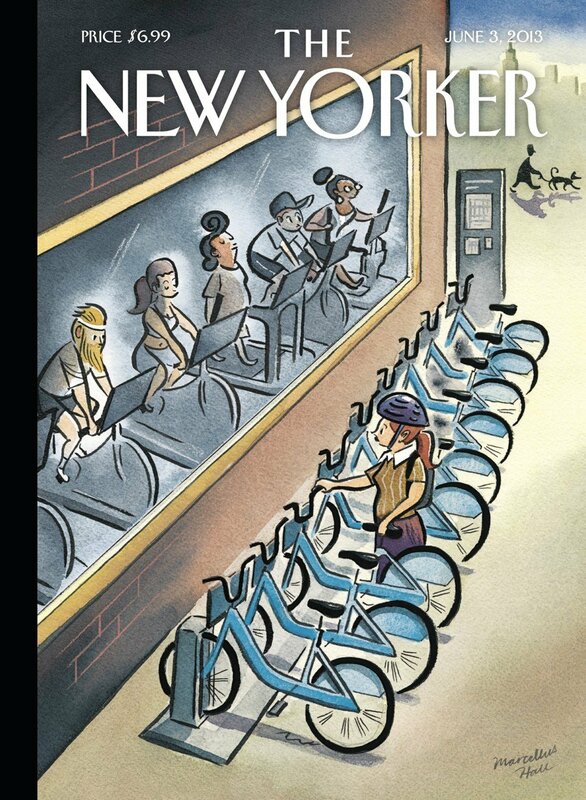 But it seems like so often our play or leisure time becomes work. Like those birthday parties you threw, our ‘free time’ is not that free. One of our modern challenges is that some of us are lucky enough to enjoy our work, and so it’s harder to pull the plug on it. And with that work, it’s also harder to know when you’re done because, in a sense, you could never be done. So what you almost have to do is understand that you will be better at it if you do step away from it. If you push yourself to the point of exhaustion, you don’t do your work particularly well, so that’s sort of the work argument for taking breaks, rather than the soul argument. But I think that’s the argument people will most likely listen to: You need a break to make you more productive. It’s much harder to say it’s better for your soul, for you as a human being, to stop working. But there is also the sense that play and leisure have to be productive too, part of the Protestant work ethic—that it too has to be about self-improvement. Picking up a new sport or learning how to knit or taking an art class or whatever—those are good things, and yet sometimes we can overdo it, thinking that everything has to be productive, everything has to have a purpose and a point; and not all life is like that. You can’t be on 100% of the time. Think about it: our heart beats, and we have a rest between each beat. We have brain waves, and they pulse. As humans we have periods of activity and rest, we have the stress response and then the recovery. It’s a very natural human rhythm to ebb and flow, and we can’t keep flowing and flowing and flowing—that’s a flood. The tide comes in and goes out, and you have to let the tide go out, and have fallow periods. Social media has certainly upped the ante too. We put our leisure on display for all the world to see. We think it’s play, but it’s really play for social gain. There’s some greater end we’re trying to manipulate. That’s so true! Well, that’s part of trying to make every moment count and be productive, right? Social media does make it harder to have private moments, which I really struggle with. You’re not just having a public life, you’re a brand, which is kind of soul-tarnishing. And I struggle with this too, because as a writer, you want to get your work out, you want to share it, and that’s apparently the way to share it. Well, I want to get to the Denmark chapter of your book, because by the end of it, I’m sure every reader is thinking the same thing: Well, what’s the point? Let’s just close the book and move to Denmark. Everyone’s living this really ordered, simplified lifestyle. They work shorter hours, there’s a lot of parental leisure and, from the sound of it, it’s what we all want. But what does that chapter say for us? What does that idyllic picture do for someone who is strung out, with multiple kids, who feels like they’re doing a terrible job keeping it together, and feels that their work has become who they are? So, basically American, right? That’s the definition of a lot of Americans right now. The reason I went to Denmark is I attended a time-use researcher’s conference, and there was one researcher from Australia who was comparing the leisure time of different countries. People in Demark had more leisure time than any other country, but what was more stunning was that there was a very small leisure gap between men and women—in most countries, men have a lot more leisure time than women do. Mothers in Denmark had almost as much leisure time as fathers, but they had more pure leisure time, which researchers call ‘time to yourself,’ than mothers in any other country. Mothers in Denmark had more leisure time than fathers in Italy, and fathers in Italy spend hardly any time with their kids and they don’t do any housework. Structurally, Denmark, like many other European countries, has a law that governs work hours. We have one here in the U.S., but it doesn’t work. They have the European Work Time Directive, and work time is limited to 37.5 hours per week, and they hold fast to it. They work from 9-4:35 every day, and they have a half-hour lunch. So they do have very bounded short work hours. Here, in the United States, we have a culture of long work hours. We tend to idolize the people who leave work late as really good workers—the people who get in early, the first ones there, who don’t take lunch and eat at their desk, who look harried, always rushing around to meetings—these are the ones we value. But in Denmark, that worker would be seen as inefficient. So I think that’s a big lesson we can learn. How do we define productive work, or good work, rather than just rewarding people for working long hours? This is important, that people aren’t just working shorter hours—they’re working smarter, more productive hours. When you look at international comparisons of hourly productivity, Denmark is about on par with the United States. And the only two countries that put in longer hours than we do, Japan and South Korea, have the lowest hourly productivity. I think that’s a lesson we can learn in the United States. But I think the other thing we can learn from Denmark is they really value that sense of refreshing yourself, the sense that your life is bigger than work. Almost everybody belongs to some sort of sports club; there are people who go swimming in the ocean before work. You take these catalog classes that are very popular; you are expected to take your paid time off. They have thirty days of vacation and all sorts of holidays. Most everybody goes out, and—this is the other interesting thing—it’s not like they have crazy, amazing, over-the-top vacations. A lot of families go to a cabin in the woods. They don’t have to go to Disneyland, or a spa—that sense of connecting with each other and the power of the ordinary moment happens right now, is always available. In one point in the book you talk about chronos time versus kairos time, and I couldn’t help but think about that distinction in the Christian subtext, that chronos is the time of the world, and kairos is God’s time, the ever-present now of God’s love. So, I’m wondering, your book gives all kinds of hope for finding kairos time in a chronos world, but how do we add something into our lives that doesn’t just become another thing on our list of things we can’t really accomplish? You know, we can do yoga, or centering prayer, or something that helps us connect to the things that matter, but how does it not become just one more thing to do? You know, this is going to sound counterintuitive, and believe me it’s something I have struggled with too, but you have to schedule it until it becomes so much a part of your routine that you don’t think about it anymore. It is best when it becomes something you do regularly enough that you yearn for it, when it becomes something that helps you get through your day, and you can’t wait to do it. In order to have that sense of play, or reflection, or meditation—something that is going to fill you up, to connect you to your soul—it’s best to try to schedule it first. One of my favorite parts of the book is when I talk to Tara Brach, who is a mindfulness teacher, and to me, her story was so hopeful. She said, “Look, I wanted to make a commitment to having some kind of this kairos time every day, but I felt I was too busy, so I gave myself a back door, that it didn’t matter for how long.” She said that, sometimes, sitting on the edge of her bed at the end of a very busy day, she’d realize she’d never made time for it. And just taking five mindful breaths, that was enough. I asked her the very same thing that you said: “Oh, it just feels like one more thing on the to-do list, another thing to cross off the list!” But really it is simply the intention to pause, to slow down enough to connect with yourself. And a good start for me was this: with every time I was on the phone, to hang up the phone and just take one breath. To click for one breath into that kairos moment, and then click back out of it. And so, sometimes, on my very busy days, that’s what I’ll do. And that’s one thing I’ve learned—a moment is enough. Just wondering if hospitals in Denmark close their doors at 4:35? Have patients been instructed to care for themselves until doctors and nurses return at 9 am the next morning? What about Police and Fire departments? My leisure has been disturbed trying to understand Denmark. Apparently it is the one country where sickness, fires and robberies only occur from the hours of 9 to 5. No wonder it’s the happiest place on earth! The “epidemic of personal failure” – wowza. That’ll preach!